This… Is Estrello, a formidable wizard and warrior set to make an appearance in the upcoming VR title “The Heroes Quest”. despite being an early prototype the character shows real promise and is an excellent example of some of the concepts coming out of the DPG studio of late. 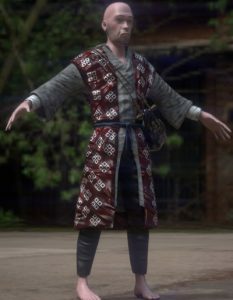 The model shown here is being rendered inside of Substance painter however, what you are seeing is in fact the low poly model so you can expect this level of detail inside the game engine.